England international Danny Cipriani insists that he has become more matured as a player with age and experience. Cipriani made his professional rugby debut with Wasps in 2006 and enjoyed success straightaway with the club winning Aviva Premiership and European titles and even went on to make his debut for England in 2008 against Wales and with the spotlight there came preconceptions especially with those who don't know him. "It felt a bit overwhelming. It does seem like a different life, but at the time it's on you," Cipriani said in an exclusive interview to ESPN. "You're in the moment, wondering why everyone is talking about you. It's not really big news, there are bigger things in the world going on. It seems petty but you learn from it, you learn not to make those mistakes and understand it doesn't really mean anything. It doesn't affect who you are." He left Wasps in 2010 and joined Melbourne Rebels before returning back to the English set up, joining Sale Sharks in 2012 and later returned for a second stint with the Ricoh Arena outfit in 2016. Cipriani believes his second spell with Wasps has been refreshing and he is enjoying his game better than ever. "I've never enjoyed game day more than I have in the last two years," he said. "It's been special, sometimes it feels like everything's flowing. [In my career] every single stage, environment, squad has been interesting, meeting different coaches and characters. "I've enjoyed that process, sometimes for good, sometimes for bad." Cipriani last played for England in during August 2015 and has been involved just once during a training camp under present head coach Eddie Jones. When asked about his chances of featuring for England again, he said:"I'd love to play for England... that might be 'finished business', I don't know. "You don't know what's going to happen in the future. I might hit a rich vein of form and get picked." 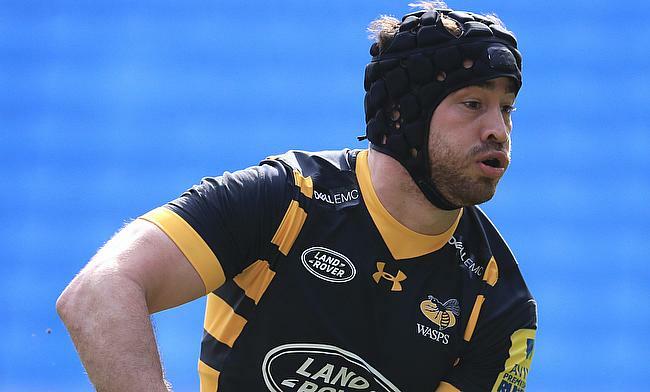 Nevertheless, Cipriani is just focussed on his present and doing well for Wasps and believes he has developed better interaction skills with his team-mates and coaches. "I've learnt that no matter what, I'll find different reasons to what I love about rugby and the sport," he says. "From being personable, goals and satisfaction, you're hungry for all that. "In the same way I'm hungry for it now. My enjoyment is seeing other players playing well in the team. Talking about things in training, then you go out there on Saturday and it works. You look at each other and you have a nice bond over it and it's something you've spoken about, you've gone and done it as a collective. "The camaraderie, I love the team environment. I've learnt to deal with different coaches and adapt with it. Man management skills, I've learnt a lot. "I love passing on as much information as I can from what I've learned, how I see the game and being able to give that opinion or idea to other players and see if matches or if it's something they can use. And help them."